Union Minister of Finance and Corporate Affairs Arun Jaitley released ‘Making of New India: Transformation Under Modi Government’ in the presence of Honorable President of India.. The first copy of the book was presented to the Honorable President at the launch which took place in a packed auditorium at the Rashtrapati Bhavan Cultural Centre. 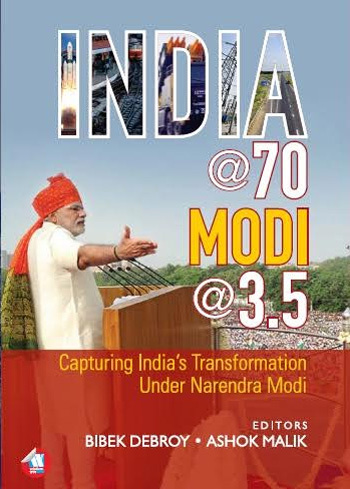 The book which focuses on the achievements of the Modi Government and the structural reforms, social transformation and ease of doing business initiatives taken during last 4.5 years is edited by Prof. Bibek Debroy, Chairman, Economic Advisory Council to the Prime Minister of India, Dr. Anirban Ganguly, Director, Dr. Syama Prasad Mookerjee Research Foundation, New Delhi and Kishore Desai who is associated with NITI Aayog. 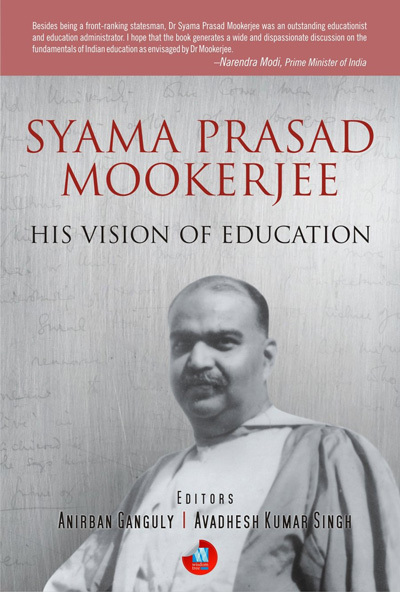 The book, which is jointly published by Dr. Syama Prasad Mookerjee Research Foundation and Wisdom Tree is a collection of essays on various topics authored by 56 scholars and subject experts from India and abroad. The year 2022 marks the seventy-fifth anniversary of India’s independence. 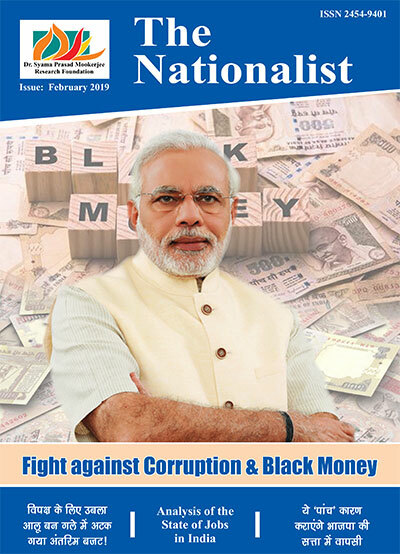 By then, Prime Minister Narendra Modi envisions transforming India into a New India—a strong, secure and prosperous nation where everyone has access to opportunities of development. The scale of this vision is certainly unprecedented, considering the nation’s status as a democracy with 1.3 billion people, of contrasting social and economic backgrounds. With four years gone and four more to go, we are almost mid-way into this journey which started with the swearing in of the Modi government in 2014. It is now an opportune time to reflect on the impact of various initiatives and reforms implemented by the government thus far. Are these reforms on course to achieve their objectives? How have people benefited from them? How are things changing on ground? Is there a legacy being created that could prove to be a road map for other developing countries facing similar challenges? This book, with contributions by some of the top global experts, attempts to answer such fundamental questions. 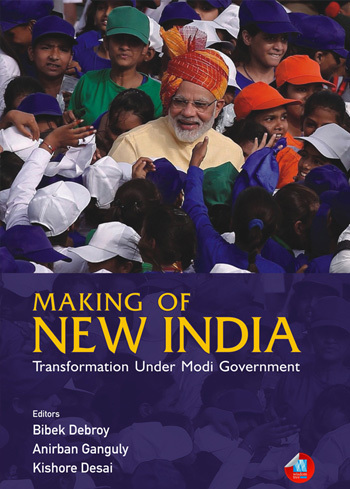 With fifty-one essays—from economy to diplomacy, ideology to security and education to public health—providing detailed analytical assessments of select reform initiatives of the Modi government, this book presents a comprehensive view on the multidimensional efforts being invested into transforming India. This book is a valuable collection, not just for the practitioners and students of economic and public policy as also diplomacy. The book will educate and enlighten anyone who is a stakeholder in this journey towards New India. Minister of Finance Shri Arun Jaitley said, ““We are now close to about 3 lakh people in the last month and a half who have already benefited from hospitalisation under Ayushman Bharat and these are people belonging to the 10 crore poorest families in India.” He further added, “If we are to grow at a fast pace, faster than rest of the world in next 1 or 2 decade, we have a potential to do that. The potential is clear. The contribution to GDP from rural areas is yet to come in a big way. A lot of development is required in eastern parts of India, the contribution of female gender (has to go up)….. We are pro-business and pro-poor. You can’t have one without the other. So the reforms which you take, which help the market economy to grow, make your pockets deeper and help you service those sections which have the first right to service those resources. This is our experience in the last 4.5 years”. At the launch, the guests were welcomed by Dr. Anirban Ganguly and the vote of thanks was proposed by Shri Kishore Desai. Prof. Bibek Debroy gave a brief account of the topics covered in the book.